The chance to own freehold property in Dubai. Property in this area is some of the most sought after by property investors from all over the world. Government legislation has now made this type of investment easy and secure for foreign owners. Taking its architectural inspiration from the regional landscape’s undulating sand dunes and the glittering quartz crystals from which they are fashioned, the stunning configuration of the AYKON City towers is designed to offer magnificent views from every aspect. The development is located within the 40-million-square-foot Dubai Canal Project master community, of which Meraas Holding is one of the major developers, along with the RTA and Meydan Group. Also in this neighbourhood are Meraas’s CITY WALK and BOXPARK, revolutionary lifestyle environments with shopping, dining, and a great outdoor ambience. AYKON City boasts one of the most iconic settings in Dubai on the illustrious Sheikh Zayed Road, the city’s most important vehicular artery connecting Dubai to Abu Dhabi. 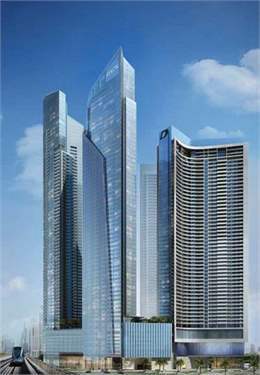 The development overlooks the new Dubai Canal network and forms the gateway to the glamorous Burj area. From here, the city’s attractions are all just moments away and it’s very easy to get around, whether it’s by car, metro or water taxi.